SMO is a tremendous opportunity to market your products & services online using Social media platforms. It helps in gaining 100% targeted audience and active leads that can be easily converted into sales opportunities. 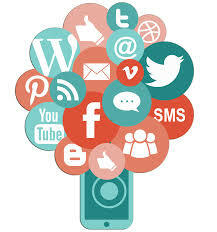 Our SMO experts will handle your Facebook, Twitter, Instagram, Google+, LinkedIn, Blog, etc. We ensure more engaged targeted users and greater visibility on search engines by using advertising campaigns, custom, optimized social media profiles. Our SMO Services will help you gain an active online presence on various social media websites by building a strategy for your business. We use ethical ways to drive maximum traffic and sales to your website from other sources which helps in creating backlinks for SEO practices. Our SMO solutions include blogging, Video blogging, podcasting and delivering your message in articles, press release to various social networking sites. Get in touch with us, to see our work.